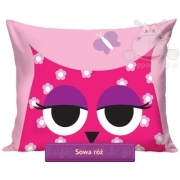 Bedding NICI bears from the latest collection NICI licensed by the manufacturer of the highest quality, sophisticated, unusual and imaginative plush and cuddly mascots. 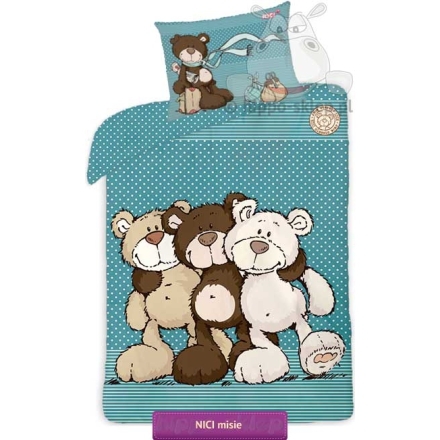 NICI bedding collection in the color turquoise-gray shows “Classic Threads Bear” or three friends white polar bear, brown bear and bear traveler. 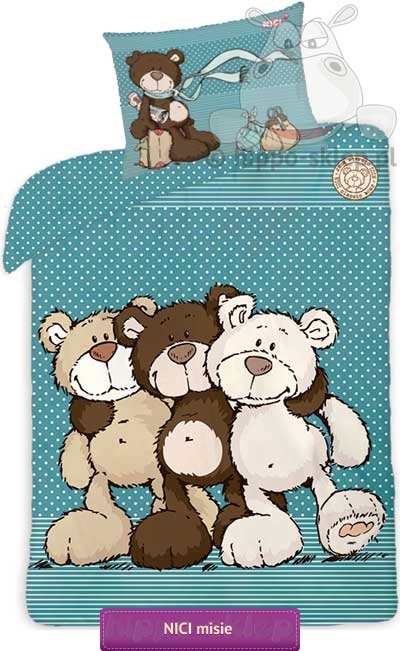 Bedding bears NICI available in duvet cover sizes 140x200 cm or 135x200 cm with one pillowcase size 70x90 cm. 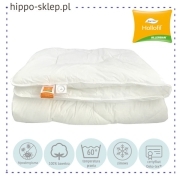 NICI bedding made from 100% cotton smooth certified OEKO-TEX Standard 100, and is fastened with zippers. Great idea for a practical gift for all small and large teddy bear lovers and the whole Nici concept and collection.